Let us make you stand apart from the crowd! To stand apart from the crowd, we deliver themes that are unique, pleasant to the eyes and are user friendly. Looks do matter as much as functionality! 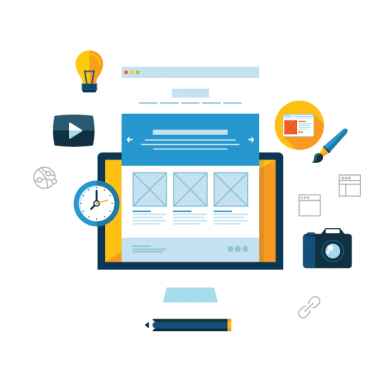 We dedicate our services to providing fully featured and responsive WordPress themes that make the “WOW” impressions at a glance. In addition, you will have the flexibility to upgrade to the latest features of WordPress which come from time to time, so that your theme can have all the latest upgrades. Our custom theme development allows us to add every element you desire and remove everything you do not need. The end results of our custom theme development lets you enjoy a site that is exactly what you had in mind. Themes that adapt to their environment, allowing a very user friendly experience. No more zooming, excessive scrolling or messed up views. While the themes are adorably amazing, we also make sure that they work efficiently and flawlessly on all gadgets and browsers. We provide you widgets that are ready to use, allowing you a personal development area where you can add search box, comment box, tags, etc. Executing the SEO friendly setup, we facilitate better indexing of your website on search engines for higher and more relevant traffic. We are Experienced Developers! Creating unique designs, adaptive layouts and smart colors throughout the site, which makes your website stand out above the crowd.